Multiplication 0-12 contains 110 problems that range from 0 X 0 to 12 X 12. At the bottom of the card is a small-print answer to the problem on the reverse side. Each card size: 8.5 cm x 13.5 cm ( 3.25" x 5.375") and all 4 corners rounded. There are 55 Problem Cards, and 1 Parent Card. 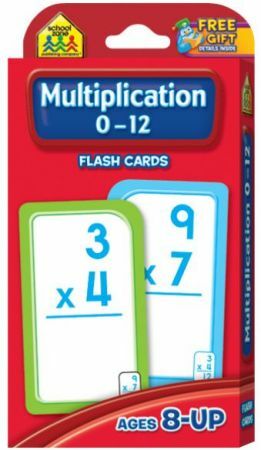 The Parent Card suggests activities that will help your child develop important math skills and enjoy learning. For ages 8 - up.